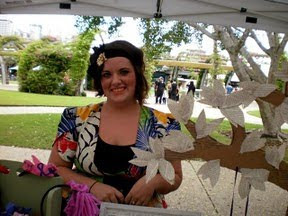 Saw Laura my daughter at the Young Designers Market in Southbank Brisbane. 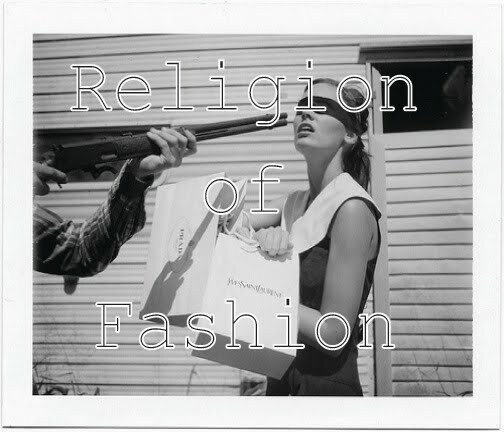 She has a wonderful fashion blog to encourage and help new designers. Check it out. 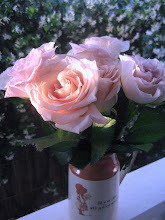 She has an upcoming vintage afternoon tea that sounds delightful on the 24th of April. This is what she wrote about Laura's stall. This gorgeous little stall caught my eye with a gorgeous owner and GORGEOUS (yes, that was neccessary capitalisation) accessories! Nickel & Penny. Great head pieces. Great prices. Amazingly stylish owner. All yes's in my part! 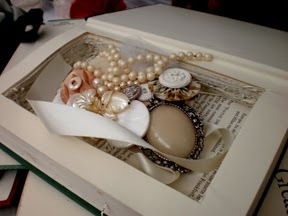 and Creative Flair for anything she chooses to put her hand to. 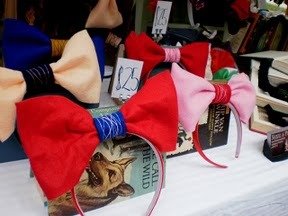 CUTE, CUTE , CUTE BOW HEADBANDS ! 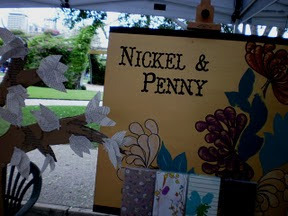 Nickel & Penny is a lovely display, can't wait to check them out.